Despite the initial announcement only applying to Japan, Nintendo UK confirms that it will also apply to Europe. Earlier this month, Nintendo quietly ended an era by announcing that the original Nintendo Wii will no longer be produced. We contacted Nintendo of America, who assured us that the console will continue to be manufactured for US markets. Not so good news for our friends on the other side of the world, though, as Nintendo UK has confirmed that Wii imports to all of Europe have been discontinued. "However, there are still a variety of options for consumers to enjoy Wii games and the Wii gameplay experience," said the Nintendo representative. "Wii U, which is Nintendo's latest home console, is backwards compatible with nearly all existing Wii games and accessories ... when you switch to Wii Mode on Wii U." The announcement also does not effect the Wii Mini, a the previously Canadian exclusive miniature hardware revision of the Wii that made its way to the UK earlier in the year. 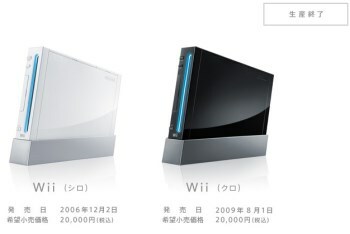 "The announcement that the Wii console has been discontinued is specific to Japan," said Nintendo of America in the earlier announcement. "There is no change in the status of Wii in the United States, and it is available for purchase this holiday season." So there you have it. If you're European and want a Wii, you better grab one before stock runs out!